Happy 70th birthday to Black Canary! I was drawing Johnny Thunder, which was not much of a character. I suppose he could have been better because his 'Thunderbolt' was interesting, but the situations they were in were pretty juvenile. 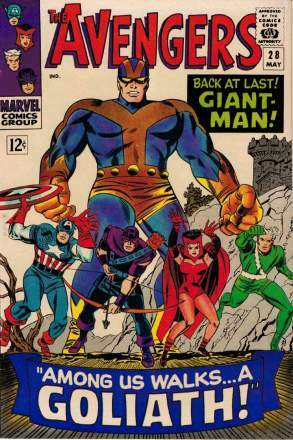 Bob Kanigher wrote those stories, and he had no respect for the characters. 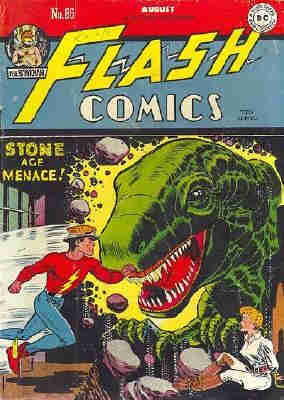 These stories were nowhere near as good as 'The Flash' stories. DC knew it — they knew 'Johnny Thunder' was a loser, so Kanigher and I brought the Black Canary into the series. Immediately she got a good response, and it was, 'Bye, bye, Johnny Thunder.' Nobody missed him. She’s had sort of a confusing backstory and I won’t go too deeply into that because frankly, I’m not altogether certain I understand it, even though I’ve read a few of the seminal stories, including the JLA/JSA crossover tale from 1969 where her husband on Earth-2, Larry Lance, gets killed off (in JLA #74) and the grief-stricken Dinah Lance decides to move over to Earth 1 to join the JLA and start fresh. Among other things, she begins a lasting romance with Green Arrow. Well, never one to be particularly concerned about continuity, our old friend Bob Haney wrote her first team-up with Batman in Brave and the Bold #91 from September of 1970 and there doesn’t seem to be so much as a trace of Oliver Queen in her life. Nick Cardy illustrates both the cover and interiors for “A Cold Corpse for the Collector!,” edited by Murray Boltinoff with letters by Ben Oda. Oh and let there be no doubt, the fabled “Cardy babe” is alive and well in this issue. While Black Canary has been admirably rendered by titans like Adam Hughes and Alex Ross, Nick led the way. As a matter of fact, I was narrowly edged out of a pencil sketch he’d done of the pretty bird recently. Alas, I was left only with the eBay scan. While I’d been intrigued with the cover of this book for a long time, it has nothing whatsoever to do with the story. I’m definitely biased toward Nick, but this one is a grabber that would have probably easily parted me with three nickels at the spinner rack. It begins with a noir-themed scene as a pair of men replete in fedoras and trench coats meet on a bridge for an exchange. Following the drop, however, one is sent plunging to his doom. As it happens, we’ve just watched a film clip being reviewed in a smoke-filled room by a gathering of mobsters. They begin to argue about how to handle Rhymer’s organization, which had been represented in the foregoing scene by Turk O’Hare. Just then, Batman weighs in, describing how he and Commissioner Gordon would move in on their “muscle” and then, the mysterious man in silhouette known as the Collector (not to be confused with the Marvel version first seen in Avengers #28, cover date May, 1966) is heard from. He is called that because he collects on debts for others. He assures them that he will succeed once again and it was his idea, after all, to come up with the guy role-playing Batman. He vows to collect from Rhymer and the group agrees, despite his hefty fee structure. A little later Commissioner Gordon and the real Batman are aboard a police boat fishing Waxey Till from the river under the Gotham Bridge. The World’s Greatest Detective suspects murder rather than suicide and even fingers the Rhymer gang, but then it is announced by one of Gordon’s men that they’ve discovered a stowaway. It’s Larry Lance, whom Gordon describes as a “two-bit private eye.” Lance says he’d been watching Till for a client. Batman takes Larry aside and explains that the Commissioner is under a lot of pressure from city officials about the syndicate and the mysterious Collector, who the Dark Knight suspects is Karl Klegg. Larry Lance counters that it could only be “Doc” Danton and he suggests they join forces to get to the bottom of it. Batman agrees and later, we follow Larry back to his office and a pair of luscious legs on his desk. He reminds Myra Kallen that he doesn’t have time to find her lost husband and she replies that he reminds her a lot of her late husband. It is then revealed to we readers that this is Dinah Lance, aka the Black Canary and she’s hopeful that she can attract this earth’s Larry Lance to replace her lost husband. She even boldly kisses him. Lance doesn’t object, but quickly takes his leave to take care of some business. Switching scenes, Turk O’Hare is rolling the dice in a secret mid-town Gotham casino, winning big, when a disguised collector guns him down and takes his stake. Batman is nearby, however and gives chase, but we’re only 9 pages in, so of course the Collector escapes when Batman accidentally captures Larry Lance in the darkness. Batman is briefly suspicious, but when Larry uncovers the Collector’s jacket, wig and shades, along with a bag of peanuts, Doc Danton’s go-to snack, our hero calls Commissioner Gordon to put out a dragnet for Danton. Larry then introduces Batman to Myra Kallen. Batman recognizes Black Canary, but does not let on and his thoughts reveal that she must be pining for this Larry Lance. The gumshoe takes his leave to meet up with his secret client and Batman escorts “Myra” home. Dinah tells Batman that he must think her foolish for throwing herself at Larry, but the Caped Crusader counters with the fact that it’s understandable, but that this Larry is a jerk and doesn’t seem to be above board. Dinah remains smitten and dismisses Batman’s warning as she leaves. Moments later, Batman spots someone on a nearby rooftop signaling with a flashlight when a delivery truck drops a newspaper bundle. Then a piercing cry deflects the bundle away from Batman just before it explodes. 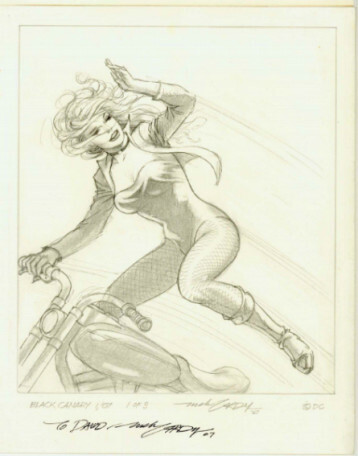 Black Canary appears on her motorcycle, having just used the famed Canary Cry to save Batman. Her suspicions were aroused when she noted the truck driver wearing dress gloves. She then asks Batman to try to see her point of view about Lance and then rides off into the night. The next day, Lance calls police HQ where Batman is visiting with Gordon and tells him that the Collector is about to meet up with his client at the sculpture court in the museum. When Batman arrives, he’s greeted with a hail of bullets, but manages to hide behind a statue of Don Quixote until the pistol’s magazine is exhausted. Before he can pounce on the perp, though, he’s gunned down…by Larry Lance, who explains the gunman must have been a decoy sent by the Collector. Batman wonders if it was a trap for him, but learns later that Doc Danton’s body was recovered earlier in a landfill, badly decomposed, so the Collector remains at large and more mysterious than ever. Later, Batman is arguing with Dinah at her apartment, telling her that her infatuation is in the way of her seeing Larry for what he really is, but she won’t be swayed. After slapping the detective, he departs out the window. Then Larry arrives and having eavesdropped, knows she is the Black Canary. He suggests they join forces and admits to feeling love for her. He says it’s time to beat Batman to the Collector and get the hefty sum from his mysterious client. Dinah quickly agrees. Elsewhere, the syndicate is being rounded up, but they’ll likely be out on bail soon. It’s a ruse to smoke out the Collector. The next day in court, Larry Lance presents the judge with evidence that prompts him to deny bail. In a follow-up meeting, the Collector insists he’ll deliver, but this time it will be with Batman’s very life. In a neck-jerking twist of scenery, Batman is receiving another call in Commissioner Gordon’s office from Larry Lance, letting him know that he’s received a tip about Klegg meeting Rhymer at the track. At the track, Batman spots a figure climbing up to the judge’s stand and reasons it must be the Collector, but he is then sent sprawling by a sonic cry from the pretty bird on horseback. Lance then levels his pistol at our stunned hero. Black Canary leaps off the horse to block his aim, protesting that he’d only asked her to stun Batman so they could capture the Collector, but Larry tells her to move or taste lead. 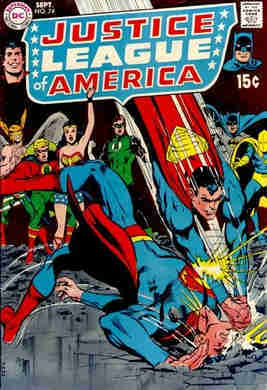 Batman leaps into action, knocking Black Canary aside and then striking Larry’s trigger hand with a batarang. Leaping aboard the horse, Lance tries to escape, but Batman and Black Canary are giving chase on the Canary-cycle and she is using the sonic canary cry to allow them to leap the steeples. Not a bad little story, if a bit tough to follow. 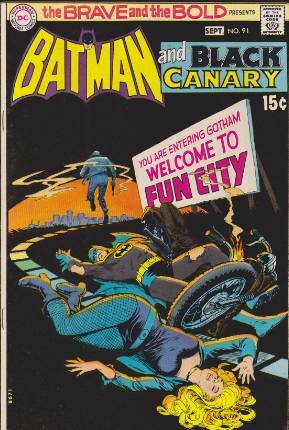 I’m still trying to figure out the gimmick of the role-playing Batman in the gang’s den, but again, Nick Cardy’s art really makes this story. I miss Nick. He was always great for a conversation and some wonderful stories from a long career. It’s kind of fitting that he would have such success with his old friend Camine’s character. While she’s been around for seven solid decades now, I look forward to enjoying her exploits for a long time to come. As per usual, a new review will be here the first of September, so c’mon back and by all means express yourself. Any and all comments, accolades or questions can be directed to my e-mail: professor_the@hotmail.com.